What a beautiful little book. I sobbed through it. The watercolors are remarkable. 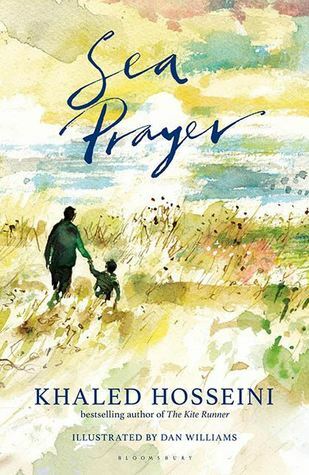 I’ve been waiting for a new Khaled Hosseini book for so long, that I wish this book were longer!However, “Sea Prayer” is written just as beautifully as Hosseini’s other longer books and I loved all of the illustrations paired with the story. Beautiful writing paired with hauntingly beautiful illustrations. I was moved to tears. I pray the world knows this. A heart-breaking & beautiful story, told in a letter from a father to his little son. I don't think this book could come at a better time. Heartbreaking and relevant. This should be required reading, and not just for children. Spare and sad. I think I’m just not a fan of Hosseini, because I just felt like something was missing, though it’s an important story to tell.